Ever visited England’s South East? England’s most popular tourist resort holds a large variety of wonders any season. 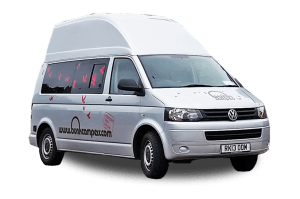 The great thing about campervan hire is that it offers a practical and comfortable solution to be able to see it all. 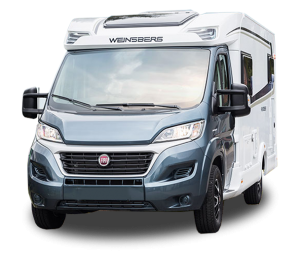 To offer you some inspiration we have put together an itinerary of 7 days touring England’s “beautiful south” in your Bunk Camper. Read more about some of the country’s most iconic landmarks and popular places to go, straight from picking up from our depot! 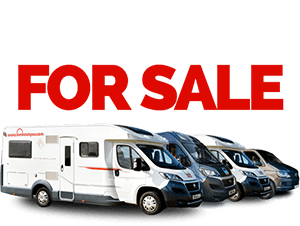 Hire a campervan or motorhome from our depot near London Gatwick and receive a full demonstration of the camper. When you’re ready we’ll give you the keys! The first night you can really take your time and adjust to your new home on wheels. Start your journey by travelling to Kent where we recommend parking up in a campsite. 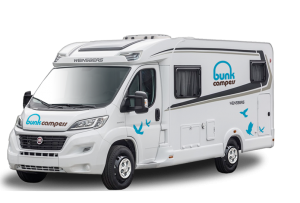 You can get up to 30% off with your Bunk Camper motorhome in any UK Camping and Caravanning campsite. On arrival, make your way to the striking Mote National Park to watch the sunset beside the buzzing town. Near that you can visit the local New Cottage bar and grill for a traditional English meal. Afterwards, visit the local supermarket to pick up fresh food for your camper for the journey ahead. Just an hour and 20 minutes from your campsite is the next step of the driving tour in your campervan, The White Cliffs of Dover. One of the most Iconic sights in the UK, the cliff forms the white chalk face, creating a magnificent coastal site overlooking the English Channel. A walk along captures some of the perpetually changing and always stunning views. At the top you’ll see amazingly green hilltops and sheer chalk edge dropping to the sea below. Spot the abundance of life surrounding you as the area is the perfect habitat for birds and animals as well as offering a wealth of colourful wildflowers. Dover Castle- An English fortress commanding the gateway to the realm for nine centuries. Climb the Great Tower, meet the characters and immerse yourself in the vivid medieval interiors. The South Foreland lighthouse– Built to warn mariners of shifting sands and guide them through the Strait of Dover, this Victorian lighthouse has since become a place of science and innovation. Take your motorhome on a journey back in time on the third day of your Bunk Campers driving route. Explore a huge part of England’s medieval history at the first Motte and Bailey castle to be built and the location of the extraordinary battle of Hastings that occurred back in 1066. Immerse yourself in the fascinating 20 minute audio-visual programme where you’ll experience the years of medieval history from William the Conqueror and beyond. Why not take some time to tour the town? Hastings National Park – Here you’ll find any number of wild animals as you embark along Sandstone cliffs and dramatic glens covered in gorse. The Stade– A shingle beach of pebbles, home to Europe’s largest fleet of beach launched fishing boats where you can see boats of all designs and a great slice of Hastings history. Hastings Town– Visit Hastings town where you can find lots of good food and the kids will enjoy the fishing museum and plenty of antique shops and attractive architecture. 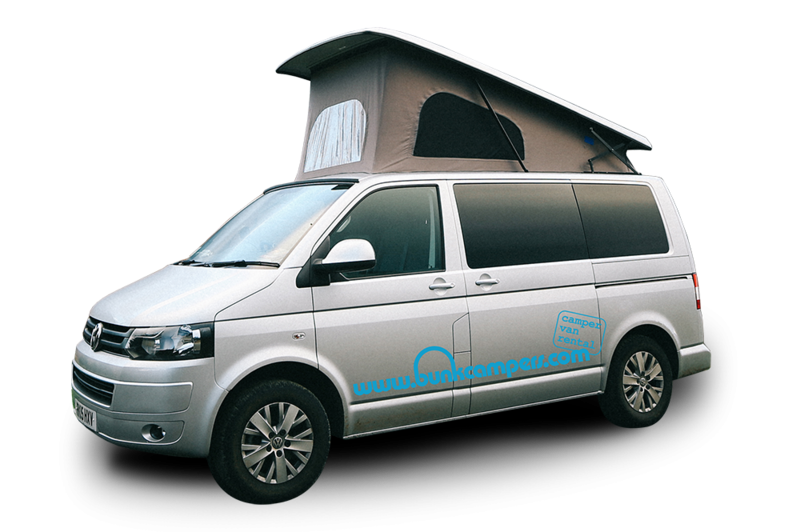 Brighton is an English Seaside resort town and a popular day trip destination in your campervan. From the iconic Brighton tourist attractions on the pier to relaxation on the beach, Brighton is a treasure trove of things to do and places to go. Vibrant, colourful, fun and free, Brighton offers the energy of the city and freedom of the sea. Amusements, Rides and Attractions– Rides and attractions for the whole family at Brighton Pier. Attractions include rollers coasters and a whole host of amusement fun. Water sports– Hire a kayak for £10 per person as you master the sea with fully qualified staff to walk you through or simply relax and take in the sunshine on colourful single and double kayaks. Within the city– You can visit the spectacular seaside palace of Prince Regent, one of the most dazzling and exotic buildings in the British Isles. Audio Guides available in different languages. Just off England’s South Coast you can travel Portsmouth and hop on the ferry. 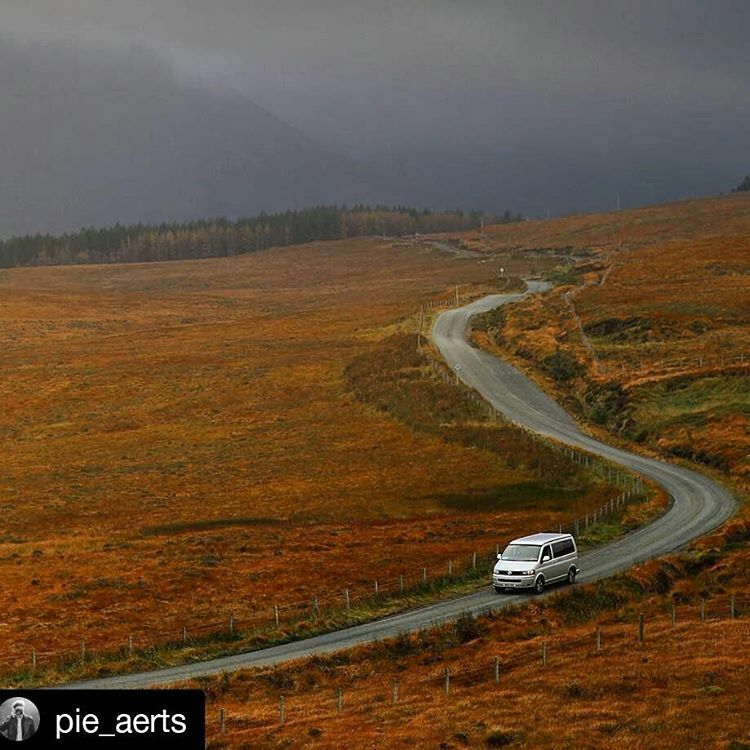 All ferries are accessible to our campervans and the island offers up a host of truly spectacular sights, stunning coastline and unique experiences. Dinosaur Isle– Isle of Wight also nicknamed dinosaur isle is Britain’s first purpose built dinosaur attraction with fossilised structures dating over 120 million years on show. See the fossilised robotic dinosaur that you can control or walk along into the unknown and discover the long lost forest of pterodactyls. Ventnor Botanical Gardens– At the heart of a remarkable microclimate is the colourful Botanical Gardens. These boast an impressive range of rare, subtropical and exotic plants. All ages and generations of the family can spend quality time together exploring or relaxing in the beauty and tranquillity of the Garden. Isle of Wight beaches– Perfect to visit any time of year, the Isle of Wight is home to an array of award winning blue flag beaches. Along the way, you will find rugged cliffs, hidden coves and clear waters. 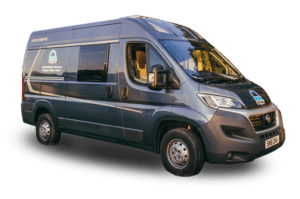 On day 6 you can take your accommodation and car hire in one to Stonehenge, one of Britain’s and the World’s great wonders. Walk in the footsteps of our Neolithic ancestors as you explore the ancient landscape,discover the ancient tools and objects of everyday Neolithic life, and come face-to-face with a 5,500 year old man. You can tour this ancient resort on your own or take part in any one of the tours available. 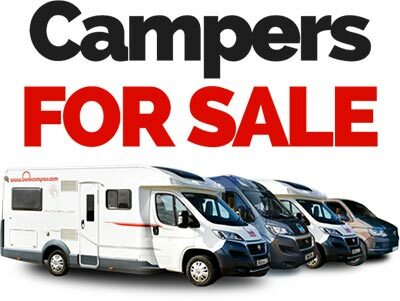 After your tour take your camper to the nearby city of Oxford. Here visitors can tour the ancient and prestigious Oxford university or hike the hills of Cotswolds. Climb a Tower- The Carfax tower is a 14th century church that stands at a busy Carfax crossroads and gives you 99 steps worth of climbing to get a good view of the Oxford skyline. Take a walking or cycling tour– Tours available for people of all ages were you can travel the charming villages of Cotswold, explore the peaceful and beautiful countryside or if you prefer you can take an open top bus tour or river cruise boat to enjoy the city’s green spaces. Wonder the market– The Oxford covered market offers a wonderful space to walk and partake in magnificent fresh fruit and coffee. You can also shop for jewellery, clothing, gifts and hats at the end of your trip to pick up any souvenirs or mementos for the trip. Enjoy a last relaxing morning before heading back to the depot to return your campervan. 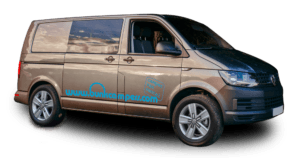 From our depot take our free transfer to Horsham Train Station where you can travel to London to enjoy the remainder of your holiday in the busy and bristling capital city. 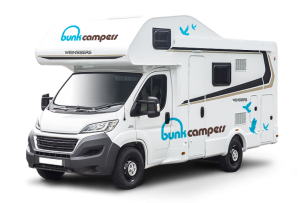 By touring Bunk Campers South East England driving route with campervan hire, you will find yourself gazing at some of the world’s more impressive natural wonders, living a journey back in time and touring some of the great family friendly activities that makes this England’s most popular tourist resort. 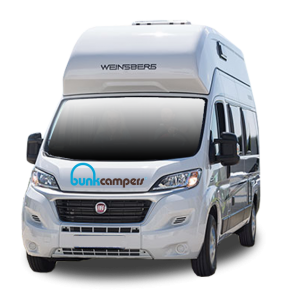 With 8 different models to suit all kinds of tastes and budgets your Bunk Camper will provide all the perks of home at a car rental fare! For information and booking email us or use the online booking engine. 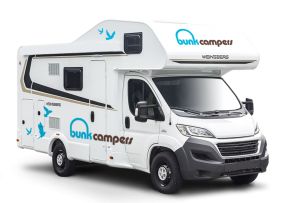 Don’t forget to follow Bunk Campers on Facebook and Twitter to be updated on the latest promotions, travel routes and tips.